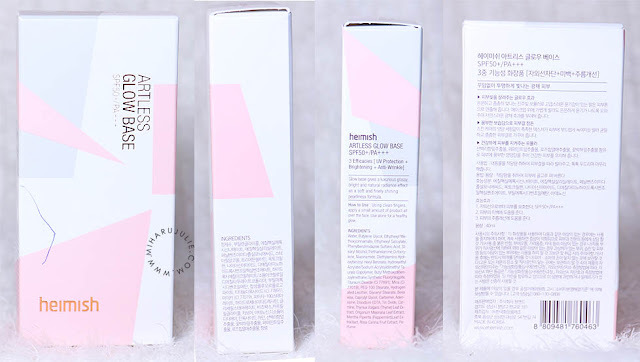 I'm back again with another Heimish review, but this time on the Heimish Artless Glow Base ! I've previously reviewed the Heimish Dailism Water Drop Lip Tint Review and since then I've been hooked to the brand. 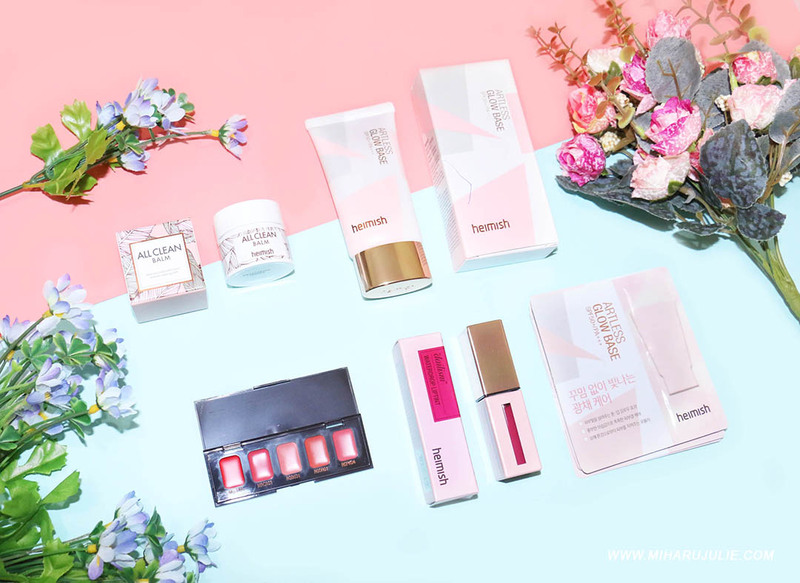 Heimish is a new Korean cosmetics brand that was launched in March 2016. 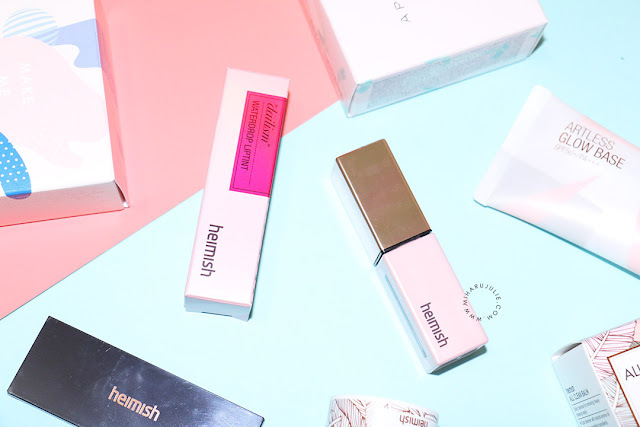 Rather than opulence and luxury, Heimish focuses on colors and products that can be incorporated into our everyday lives. Heimish expresses a modern and chic style with common and natural makeup to realize “No More Normal“. Mild botanical ingredients such as Rosehip fruit, Thyme extract, Origanum Majorana leaf extract, Peppermint extract nourish skin and improve skin’s elasticity. Perfect alone or under makeup. For all skin types. 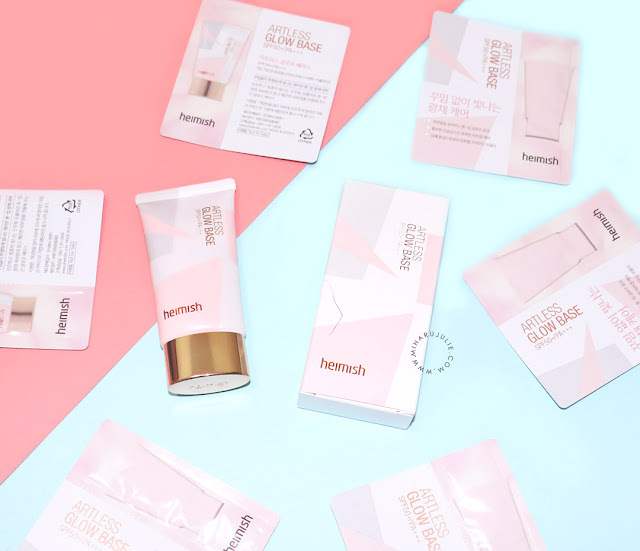 The packaging is just so alluring with their modern and simplistic aesthetic that truly gives off that cool-girl vibe! 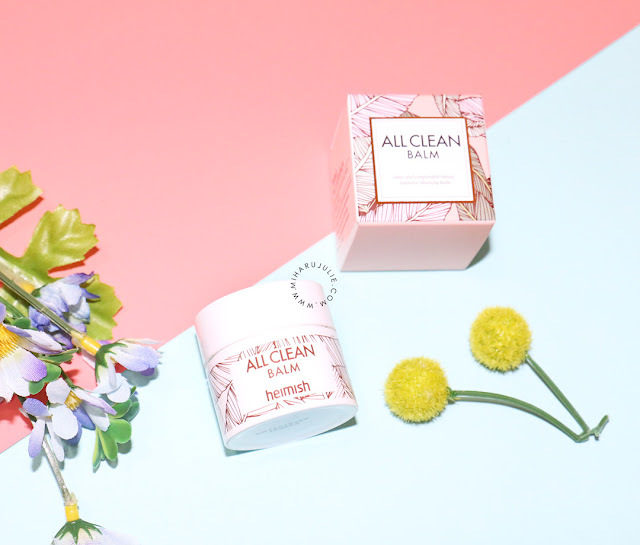 This makeup base is not really for coverage but more for tone clearing and making your skin texture smooth and give a very light watery glow. 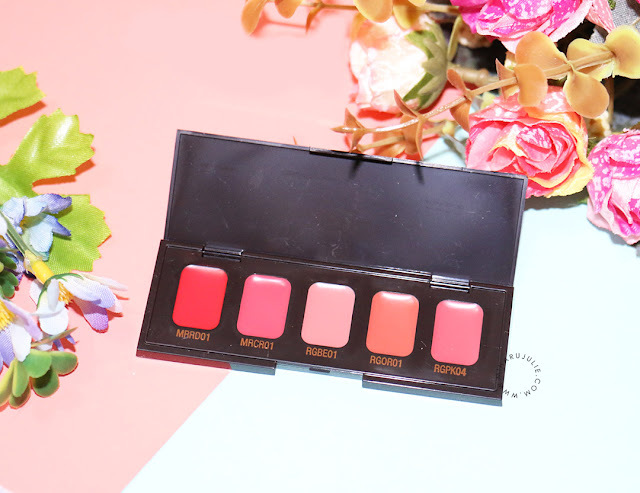 It's responsible for creating a smooth canvas by filling my lines and pores and priming my face so that my makeup glides on easily. I wore this several weeks in October and then again recently for another week. Overall, it functions great as a primer. The consistency it's glides on and spreads quite easily. It’s not sticky as described and leaves your skin silky to the touch. I love this Artless Glow Base from Heimish. It is a highly versatile product. Gives my skin a hint of glow. It's high SPF provides enough protection (SPF 50+ PA+++) I know I shouldn't, but I do sometimes skip my sunscreen and just use this primer and hope for the best. 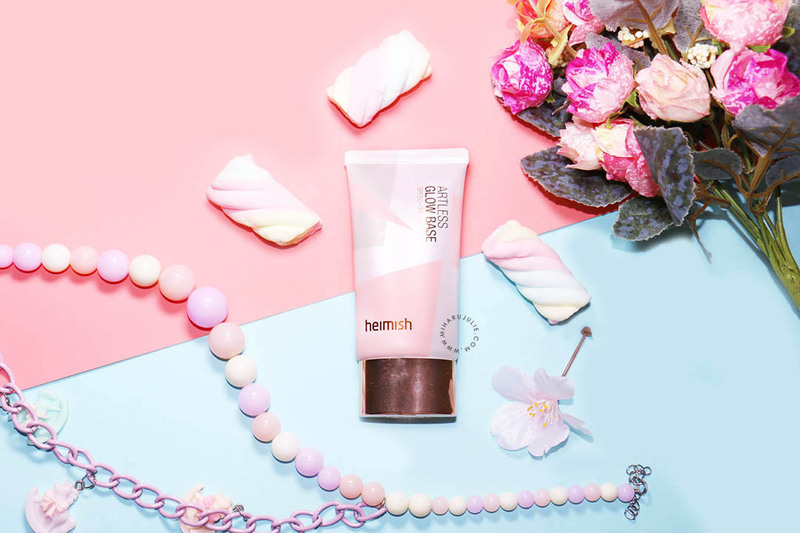 Make sure your face is clean prior to applying primer because what essentially happens is the primer will spread and create a barrier between your skin and your makeup. 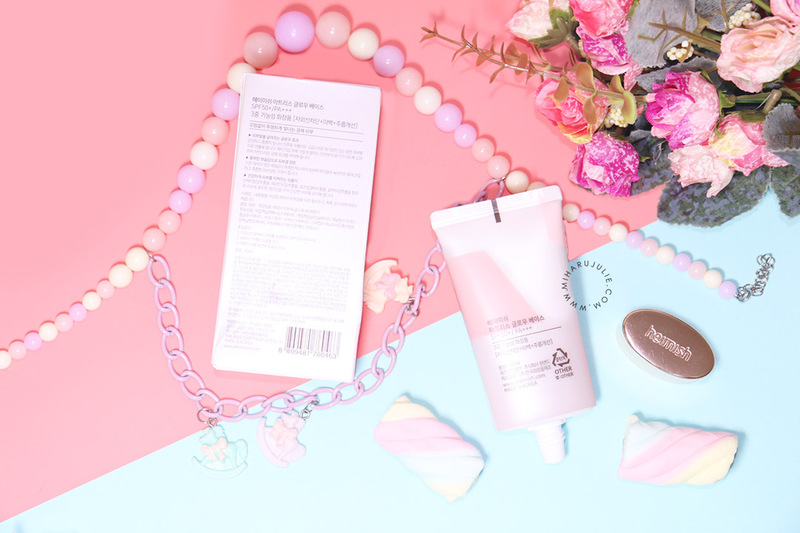 Lovely products and beautiful presentation! 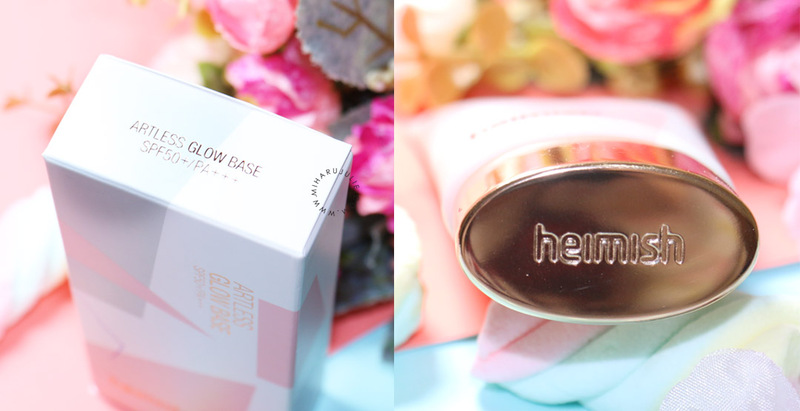 luuc banget packagingan yang lip balm nya, unik..